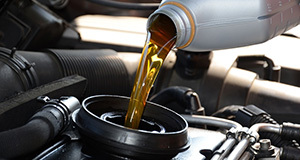 The importance of an oil change is that your engine needs clean, particle-free oil circulating throughout its system. Oil eventually becomes contaminated with dirt and microscopic particles from various engine parts, and this poses a hazard if the oil is not changed when needed. The contaminants will build up and clog parts that need freedom of movement and cause them to work inefficiently. Dirty oil also operates at a higher temperature and causes parts to exceed their working tolerances due to material expansion. Maintaining your engine with fresh oil will ensure that your engine parts move properly and are kept clean. Global Imports BMW keeps your engine healthy with oil change specials done by our certified automotive technicians. Global Imports BMW has a qualified team of certified technicians with proven expertise in maintaining, diagnosing, and repairing all types of engines and other vehicle systems. Industry certification is important because it requires technicians to complete several courses of formal study and periods of work experience on individual vehicle systems. All certified technicians must recertify every several years to ensure they keep up with the latest technologies and best repair methods. We have seen the results when repair shops use non-certified technicians. Aside from higher costs to you, your vehicle could find itself with new problems, reduced performance, and faulty parts. Global Imports BMW takes pride in that our properly-trained technicians do quality work and know today’s complex vehicle systems. Your vehicle demands the best, so we use OEM (Original Equipment Manufacturer) parts to ensure that any replacement part is guaranteed to have a correct fit and function. We source from parts suppliers that provided your car manufacturer with its original parts, or from certified manufacturers. These companies use original designs to make their products, whereas non-OEM companies don’t. Non-OEM companies typically reverse engineer an original part and estimate exact measurements and materials required for their version. However, this often results in parts that don’t fit, function properly, or match original materials. Even if they do fit and meet minimum standards, your vehicle may not perform to its fullest potential.